For new installation, or the replacement of an outdated air conditioning system, R.H. Witt Heating & Sheet Metal handles your start to finish project with the professionalism that is achieved through extensive experience. Established in 1966, we’ve tackled and resolved every type of challenge for our residential and commercial customers’ homes in Glenview and across North Shore and Northwest Suburbs. By targeting your specific needs, we determine the right solution to your long-term comfort and satisfaction. Our NATE-certified team is knowledgeable in all styles of equipment, including traditional forced air, high velocity, geothermal, ductless split systems, rooftop units, and more, and offer the information and recommendations you need to make the right choice. As a Carrier Factory Authorized Dealer, we not only offer unmatched efficiency ratings, innovative features, and leading-edge technology, our team is factory trained and consistently updated to ensure accurate sizing and installation. By performing a heat gain calculation, using ACCA manual J, we avoid the many common problems that stem from oversized or undersized equipment. To further protect your investment, we inspect building structure and ductwork, before providing a formal proposal. If sheet metal ductwork is required, our full service sheet metal shop allows us to custom fabricate ductwork, maintain top quality, and stick to a strict timetable. 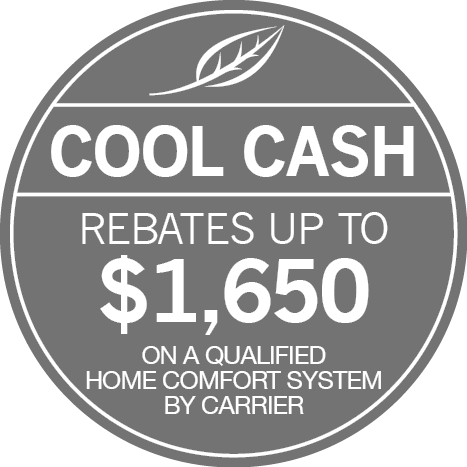 Have your next air conditioning installation completed by our professional team! Call on R.H. Witt Heating & Sheet Metal for rewarding cooling installation across Glenview, Northbrook, Highland Park, Glencoe, Winnetka, and Wilmette, IL. Family owned and operated, we partner our expertise with conscientious service. Along with convenient scheduling of your project, count on us to protect your home and property from damage. Our technicians dress professionally, wear foot coverings, put down drop clothes, and perform thorough cleanup upon completion. We stand behind our service with a lifetime warranty on our workmanship, above and beyond the manufacturer’s warranty, and also take the time to familiarize you with the operation and features of your new system. R.H. Witt Heating & Sheet Metal… Dedicated To Your Comfort!